Peter C. John is a partner in the trial firm of Williams Montgomery & John and has over thirty-five years of handling complex breach of merger and acquisition contracts, distributor terminations, commercial contract disputes, product liability matters, patent infringement matters and has specialized for years in attorney malpractice actions. He also has extensive experience in arbitrations involving major construction cases and environmental liability. 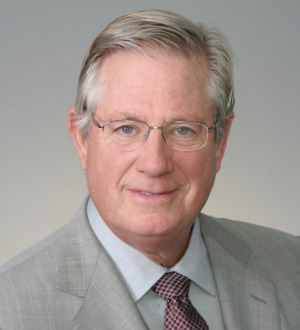 Mr. John served as President of the International Academy of Trial Lawyers (an association of the 500 most distinguished trial lawyers in the United States) in 2001-02. He is a Fellow of the American College of Trial Lawyers and the International Society of Barristers and serves on the Barristers’ Board of Governors. Mr. John has been listed in The Best Lawyers in America since 1995 and is also listed as Leading Lawyer in Illinois. He served on the Illinois Supreme Court Committee on Jury Instructions in Civil Cases for ten years and on the National Judicial College Advisory Council for five years. Mr. John lectures extensively and has written numerous articles for publication.